Brown pod fruit up to one foot long, containing several large seeds that are eaten as nuts. Raw seeds are supposed to taste a bit like peanuts, cooked seeds like chestnuts. 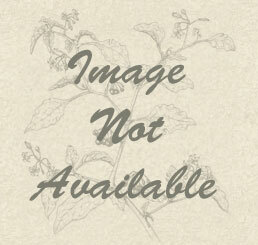 Seeds are not available for the Guiana Chestnut. Please visit our seed store to view current selections. Medium to large sized tree up to 60ft. Leaves are long (to 10"), dark green, and compound. Gorgeous flowers bloom in season, have long red-white stamens. 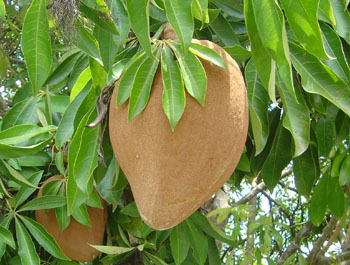 Flowers are followed by huge, up to 12" football shaped, brown fruit containing large edible seeds. The Guiana Chestnut is adapted to swampy regions and subsequently does very well planted along shore of fresh water. It does prefer occasional soil drying, so don't plant in permanent standing water. Grow in full sun or part shade. 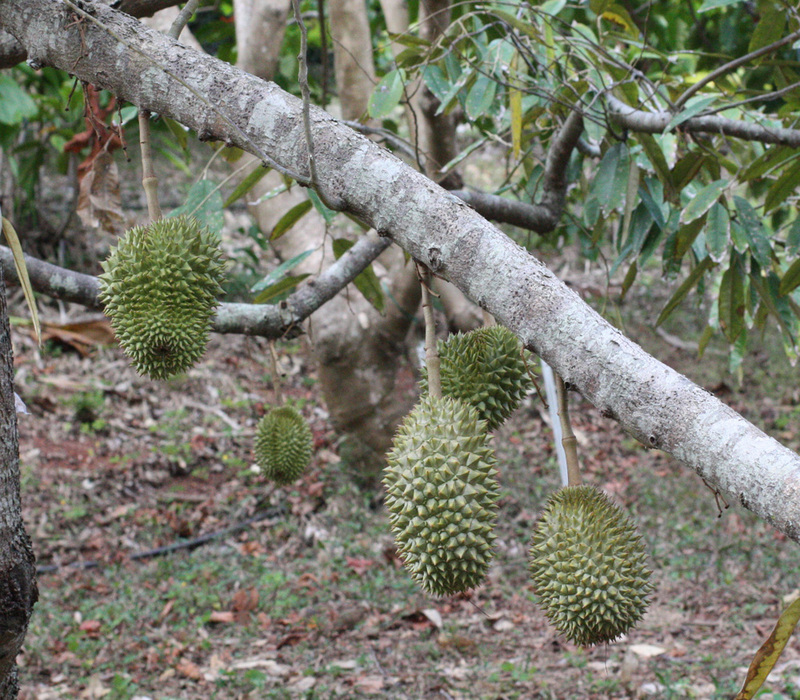 Huge fruit filled with large nuts sometimes reaching the size of a tennis ball. Raw seeds are eaten and taste a bit like peanuts. Seeds are also roasted or fried and taste a bit like chestnuts. 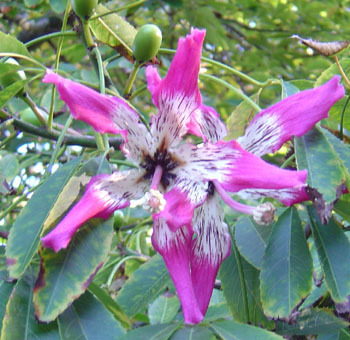 The tree is occasionally grown as an ornamental both for its striking fruits and flowers. Native to Central America and northern South America. 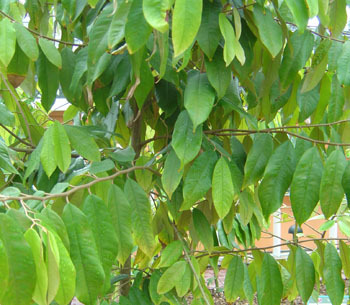 There is confusion between the two related Pachira species, the Malabar Chestnut and the Guiana Chestnut. While the trees are distinctly different in appearance, the scientific names are often used interchangeably. 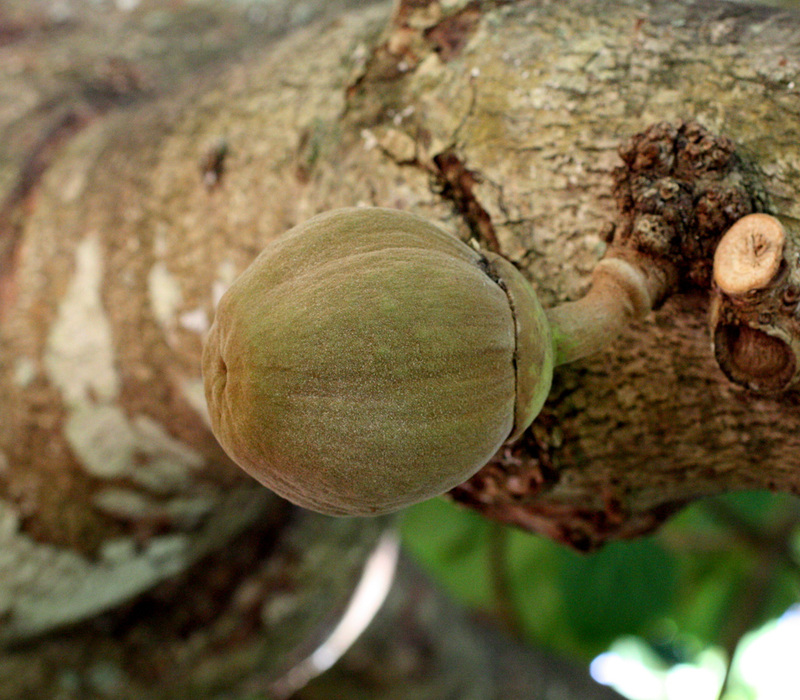 For whatever reason, in the Western U.S. and Hawaii, P. aquatica often refers to the smaller fruiting Malabar Chestnut, while in the Eastern U.S. it refers to the larger fruiting Guiana Chestnut.